There is absolutely no stopping India's Women's Cricket Team's captain Mithali Raj. In her non-stopping career of more than one and a half decade, she has raised the bar for her contemporaries and has established women's cricket's visibility all over the world. Here are ten unknown facts about Mithali Raj, our very own "Wonder Woman", that you probably didn't know. Yes, you read it right. She wasn't interested in cricket or in any other sports for that matter in her childhood. Like every other girl, she enjoyed dancing and doing regular stuff. So how did she take up cricket? Well, read on. Her father, Dorai Raj, an officer in the Indian Air Force introduced her to cricket. Mostly because he felt she was growing lazy and that sports would teach her some discipline. She went to the cricket coaching with her elder brother. Although she didn't like it at first, she gradually started enjoying it. Before she took up cricket she was busy honing her Bharatnatyam repertoire. She took training for 8 years and even gave stage performances. When she started playing cricket she tried her best to keep doing both. 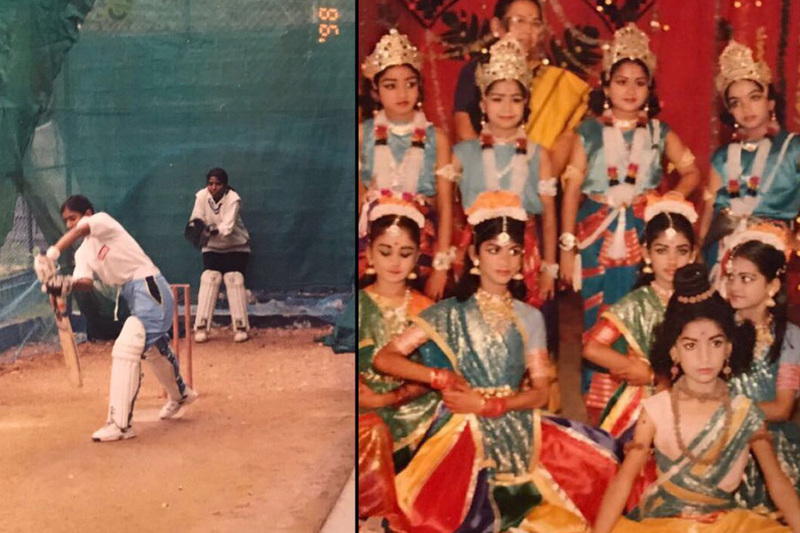 But it was getting difficult for her to stay dedicated to Bharatnatyam as she was getting more and more involved with cricket. So the day came when she had to choose between cricket and Bharatnatyam and she chose the former. One of the many unknown facts about Mithali Raj is what she would have pursued if not for cricket. Although she enjoyed both cricket and dancing, she expressed her wish in an interview that she would have loved to join Civil Services had she not been a cricketer. She reads books from all sorts of genre including crime, history, biography, and philosophy. 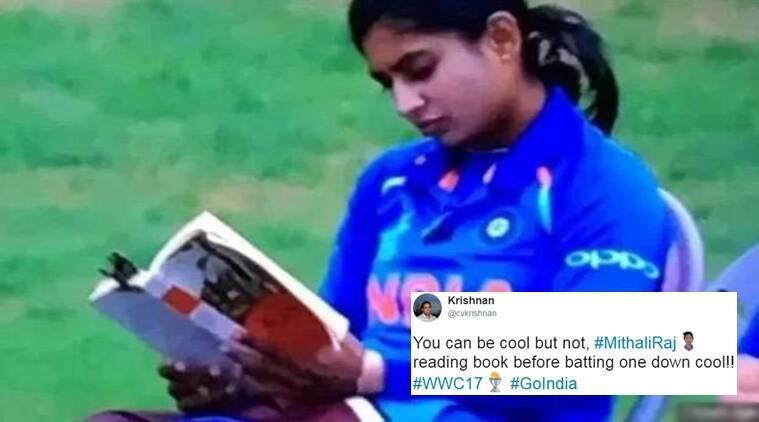 As you can see in the screen grab, to keep her calm intact before batting, she is reading Essential Rumi. Mithali has given India one more reason to be proud of her, that she has ousted everyone to become the highest run scorer in women's international cricket. And that's not it. She is the first ever female cricketer to surpass the 6,000 marks in the ODIs. Here's another addition to the list of unknown facts about Mithali Raj. She has admitted in an interview that she was on the verge of quitting cricket owing to a serious injury. We all know that injuries take a serious toll on an athlete's career. But like a ferocious fighter, she recovered from it. I'll let Mr Tendulkar's Facebook post speak for itself. Initiated in 1889, Wisden Cricketers Of The Year is the oldest most coveted individual award in cricket. Chosen along with five other male counterparts, she earned the recognition in 2015. Making her the first ever female cricketer to do so in the history. 1. Last but not the least, she handles sexist comments like a boss! In a press conference when she was asked who her favourite male cricketer was, she was quick to sense sexism in the question. So she shut down the journalist by giving a befitting reply,"Do you ask the same question to a male cricketer? Do you ask them who their favourite female cricketer is?" And the world fell in love with her again! If you like our compilation of unknown facts about Mithali Raj, do subscribe to our blog. Feel free to share and comment. And if you have any suggestions do send them right away! Abhishek Singh is a freelance writer. Having a wide domain of interests ranging from Entertainment Industry to Theoretical Computer Science, he is always willing to acquire required expertise in order to come up with an apt article on any given topic. When he is not writing, he is busy reading and watching F.R.I.E.N.D.S. Benefits of Jaggery : Can Jaggery Help You Lose Weight? Just Some Meteorites or Extraterrestrial Guests Have Arrived?